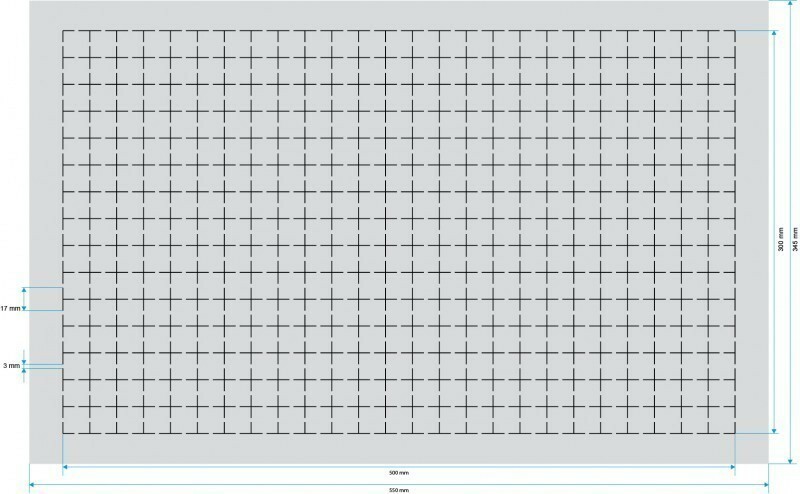 Pluck foam tray with Raster/Grid that allow to shape the slots perfect for your needs! A tray for you large, long or much bigger items. Unique slot shapes can be quickly produced. That is Feldherr Raster foam - ready to use raster pattern. Our perforated foam trays can be customised by hand without the need for any tools. This foam tray will be delivered without a bottom. Please add a foam bottom to your order if needed.